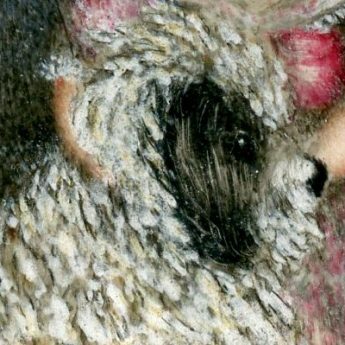 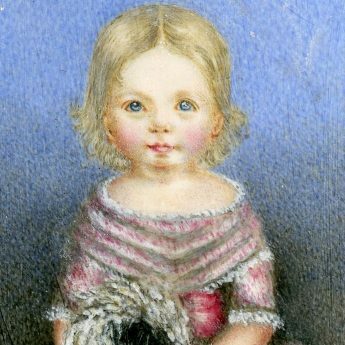 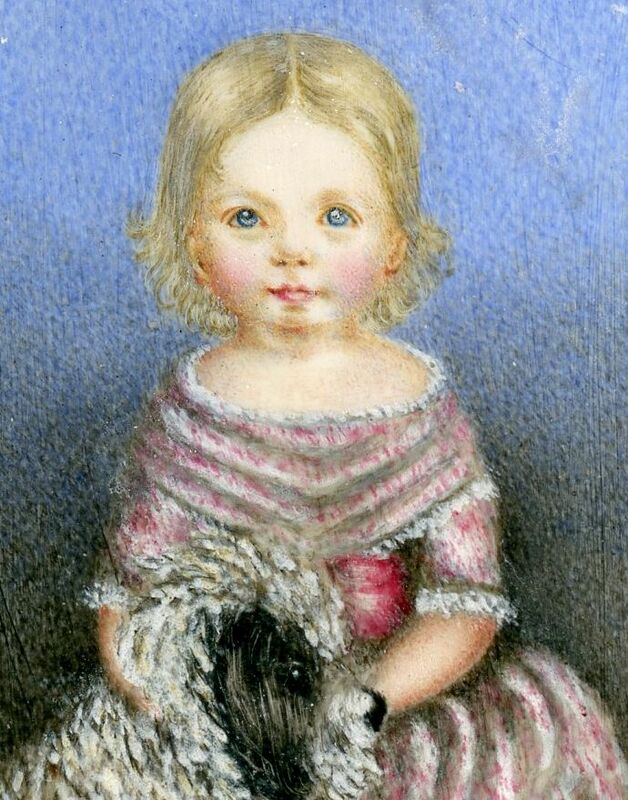 An endearing portrait of a little girl with blonde hair and blue eyes named Maria E. E.Griffiths wearing her best pink and white striped dress with a pink ribbon sash and cuddling her faithful curly-haired dog, Toby. 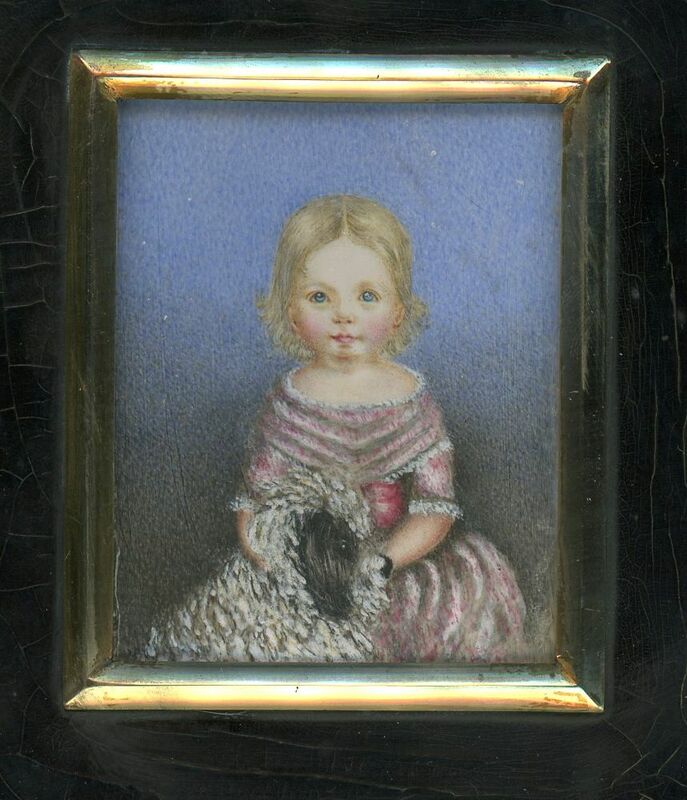 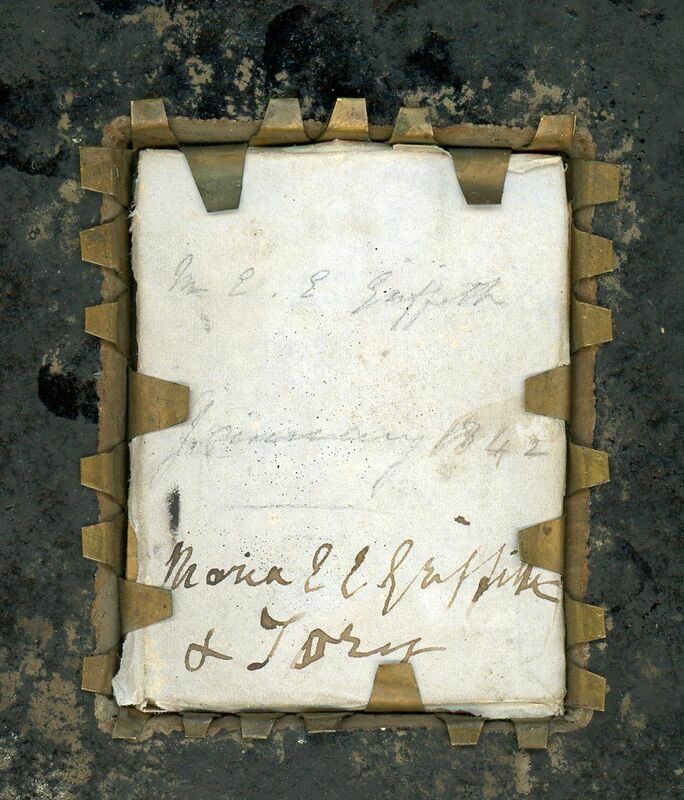 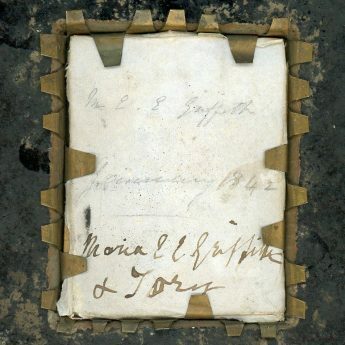 The portrait is inscribed with her name on the backing paper and is dated January 1842. 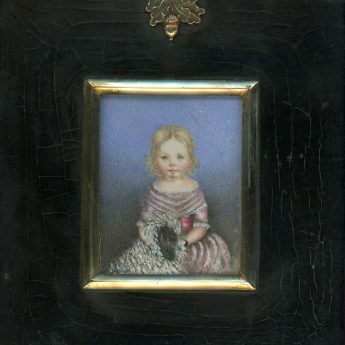 It is housed in a traditional papier-mâché frame with a brass surround and acorn hanger. 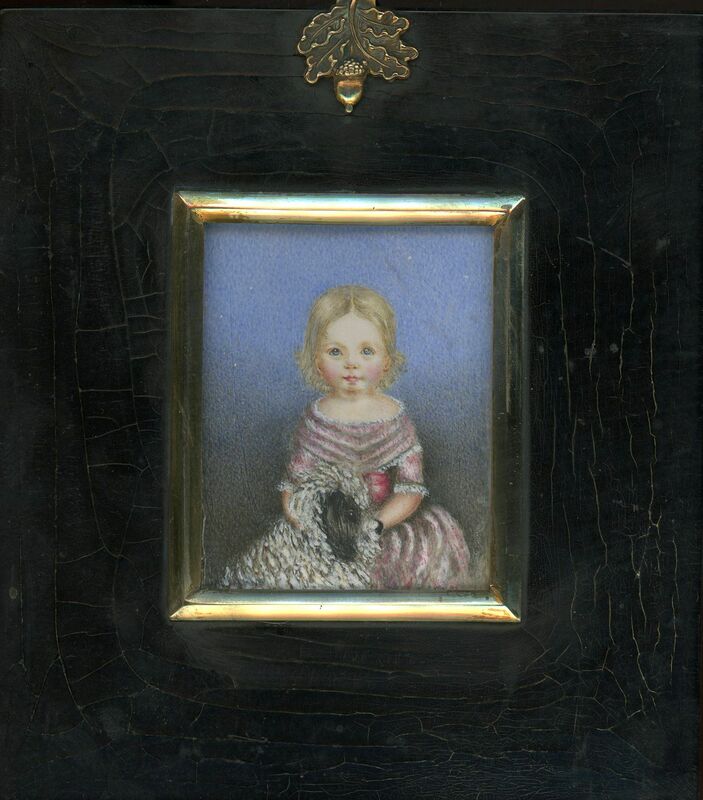 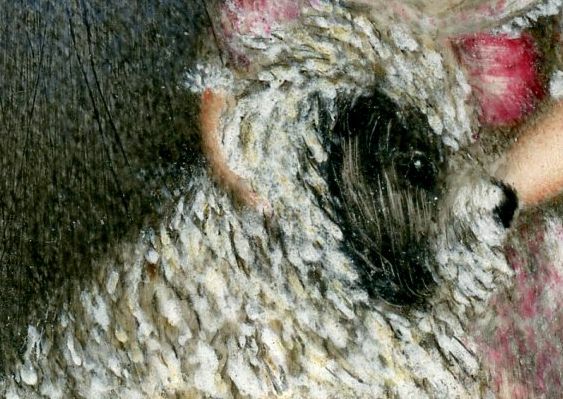 The surface of the frame has craquelure but is otherwise in good condition.